Pir Kashif Ali Chishty son of Pir Allah Yar Chishty was born on December 7, 1972 in Lahore. He acquired his early education from Aitchison College, Lahore and later graduated in Accounting, Finance and Economics from University of Essex, UK in 1995; and then obtained the degree of MBA in 1997 from Manchester Business School, UK. He participated in International Business Exchange Programme McGill University, Montreal held in Canada in 1996. He has several year’s experience in Corporate Banking. He served as Member, Provincial Assembly of the Punjab during 2002-07 served as Member of Public Accounts Committee-I, 2008-13 and functioned as Chairman, Standing Committee on Literacy & Non-Formal Basic Education. 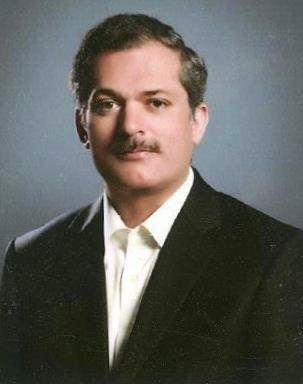 An agriculturist, who has returned to Punjab Assembly for the third consecutive term in general elections 2013 and is serving as Member, Standing Committee on Finance. He has extensively travelled abroad. His father remained a Member of Punjab Assembly during 1977, 1985-88, 1988-90 and 1990-93; and his uncles, Pir Ali Gohar Chishty and Pir Ghulam Ali Chishty both remained Members of Provincial Assembly of West Pakistan during 1965-69. Chak Saadullah Pur Qabula, Tehsil Arifwala, District Pakpattan.